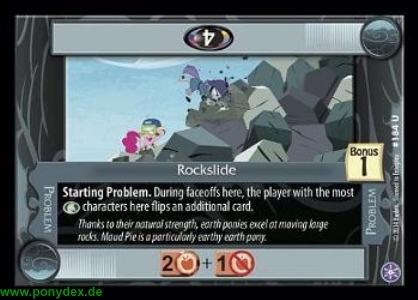 During Faceoffs here, the player with the most Earth Pony characters here flips an additional card. Thanks to their natural strength, earth ponies excel at moving large rocks. Maud Pie is a particularly earthy earth pony.